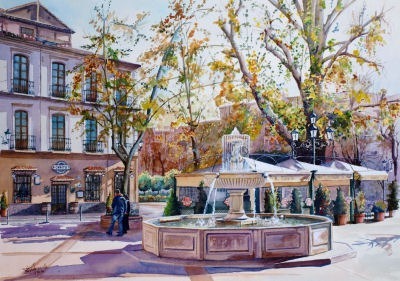 The Chikito is one of the most well-known restaurants in Granada and is very popular with the people of Granada. 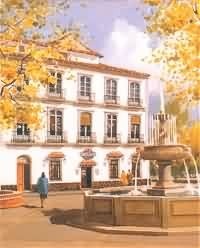 It serves traditional Granadino dishes, including Tortilla Sacromonte which is a brains and sweetbread omelette. This is supposedly the most traditional dish from Granada except almost nobody in Granada has ever tried it. I had it for the first time here and was pleasantly surprised.. 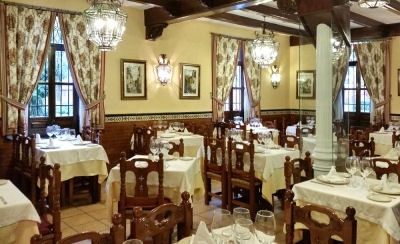 It is not cheap by Spanish standards but it is a good quality restaurant. In the summer you can eat outside in the open air street terrace. At weekends it is very popular and it is advisable to book a table. Most of the staff speak some English. This restaurant has been reviewed by 6 people. The figures on the right are the average score out of 10 based on all reviews. There are 2 reviews in English and 4 in Spanish. 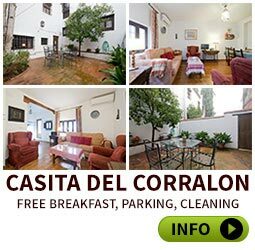 Click here to see the reviews in Spanish. 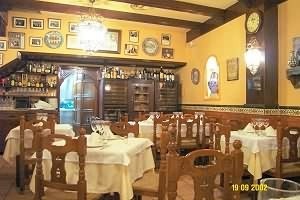 My wife and I ate here and were extremely impressed not only with the extenive and comprehensive menu, but also by the friendliness of all the staff.We had a great meal and would not hesitate recommending thi fabulous and atmospheric restaurant to others. We went to Chikitos last night for the first time with some Spanish friends. The Staff were extremely friendly and efficient, the service was excellent, and more to the point the food was faultless, with an excellent choice, and good value. I would have no trouble in recommending this Restaurant to anyone, and look forward to my next visit.